Kaipo Kaneakua was born and raised in Kalihi valley on the island of Oahu in a family of 7 children. His family members mastered the ancient Hawaiian traditions of Kupuna and Huna. Everything is perpetuated and passed down by word of mouth. Each of his family Kupuna specialized in different dis-eases, ways of healing, and methods of treatments. Kaipo had 16 family Kupunas to learn from on Molokai, Kauai, Niihau, Big Island and Oahu. These ancient teachings originated on Molokai, Kauai and the Big Island. 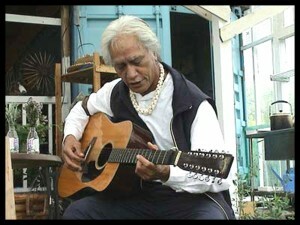 His main Kupunas were his grandmother Elizabeth Kailipohi-Kahui (Molokai) and father Joesph Kaneakua (Kauai). Well known throughout Hawai’i for his healings, Kaipo is called the “Medicine Man of Hawai’i.” He combines Christianity with ancient Hawaiian traditions and practices to create a Wholistic perspective on treatment. His world-wide reputation draws students from all over the globe. He is presently working with Discovery Channel on a 10 year project.